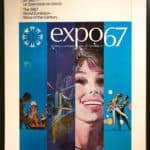 This July 20th will mark the 50th anniversary of man’s first walk on the moon, and while some people may be planning a moonwalk party with retro 1960s-style snacks and outfits, the Aga Khan Museum has come up with one of the more unique things to do in Toronto to celebrate the date: they have curated an exhibition of art and artefacts from around the world titled The Moon: A Voyage Through Time which explores the role of the moon in Islamic culture over the centuries. Given Henk’s interest in astronomy and space and my curiosity about the museum itself, this exhibition seemed like the perfect excuse to pay a long-overdue visit to this museum. The Aga Khan Museum has intrigued me since it first opened 5 years ago, partly because of my curiosity about its contents and partly because of the entire concept behind it. Part of the Aga Khan Development Network, the museum was built here in Toronto as a dynamic exhibition space and educational centre that would showcase the contributions that Islamic culture has made throughout history in the fields of art, science, academia and of course religion. 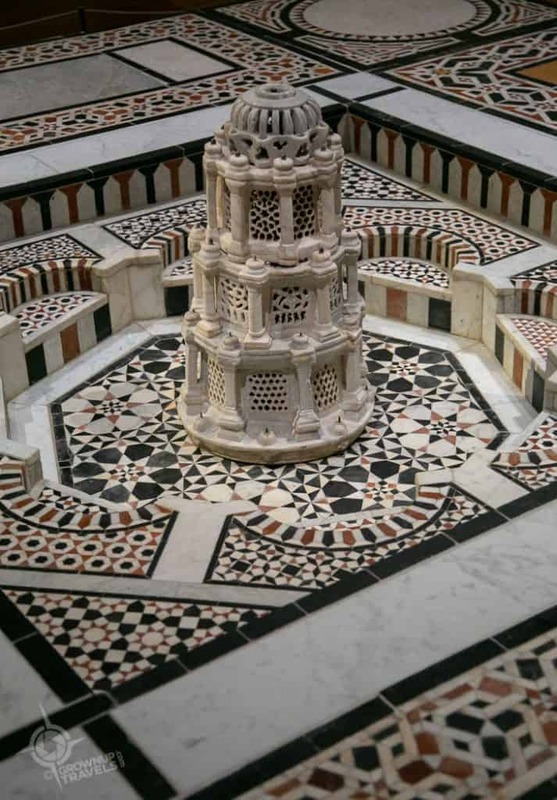 The museum is the first of its kind in North America, and I was curious to see some of its 1000 or so treasures and learn more about Islamic culture in general. 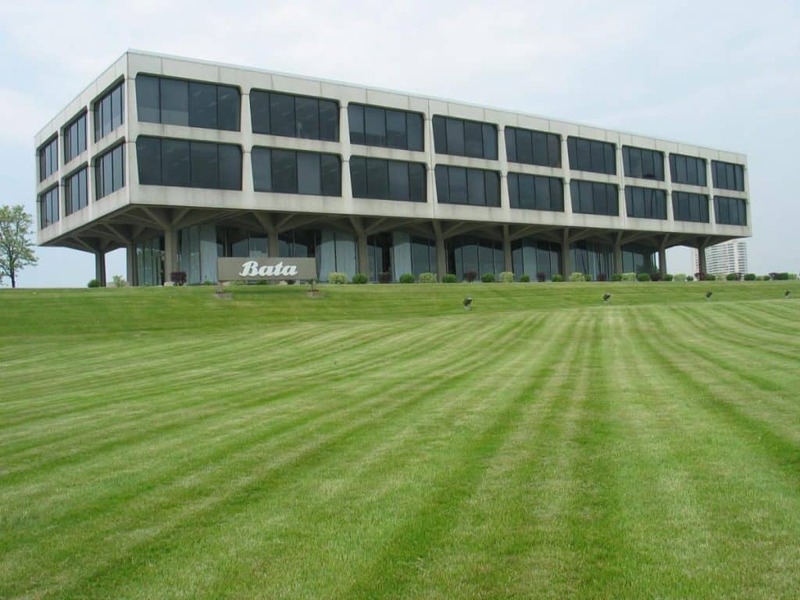 Bata Headquarters’ modernist design was a Toronto architectural landmark for decades. When the iconic Bata Shoe Headquarters building was demolished in 2007, it left behind some pretty big ‘architectural shoes’ to fill (pun intended), but the Aga Khan Museum seems to have risen to the occasion with their own choice of architect: Fumihiko Maki. Maki is a Pritzker prize-winning Japanese architect known for his striking modernist buildings and his use of concrete, glass and aluminum in their construction. 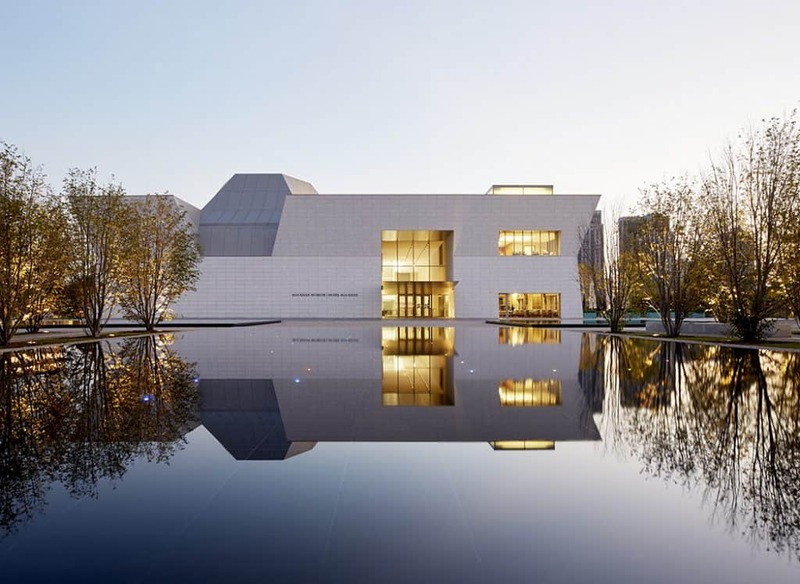 For the Aga Khan Museum, Maki envisioned a white granite angular structure ‘folding around’ a light-filled courtyard in its centre, a nod to the courtyards used in traditional Islamic buildings. Enclosing this central courtyard, Maki installed soaring glass walls etched with geometric patterns inspired by traditional Islamic screens. The effect of these shapes and patterns is seen in dynamic plays of shadow and light throughout the light-infused building. As interesting as the architecture of the Aga Khan Museum is, Henk and I were even more curious to see the exhibitions inside, starting with The Moon. 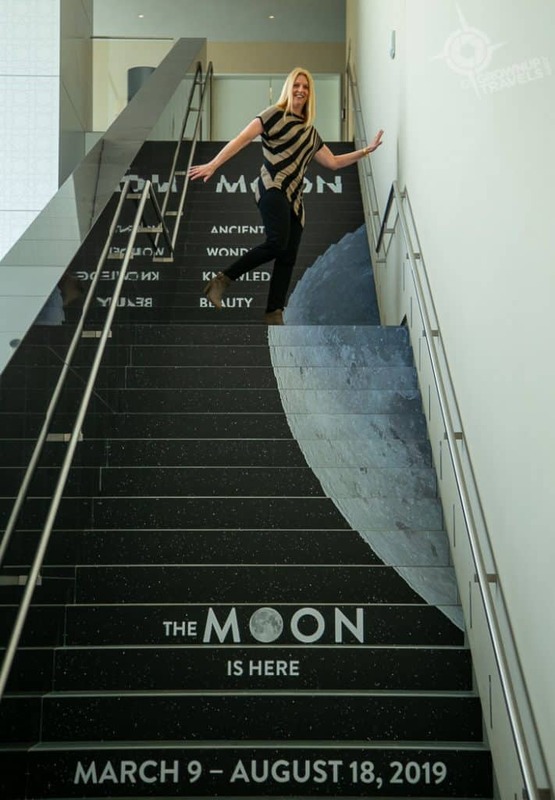 So why the Moon exhibition? 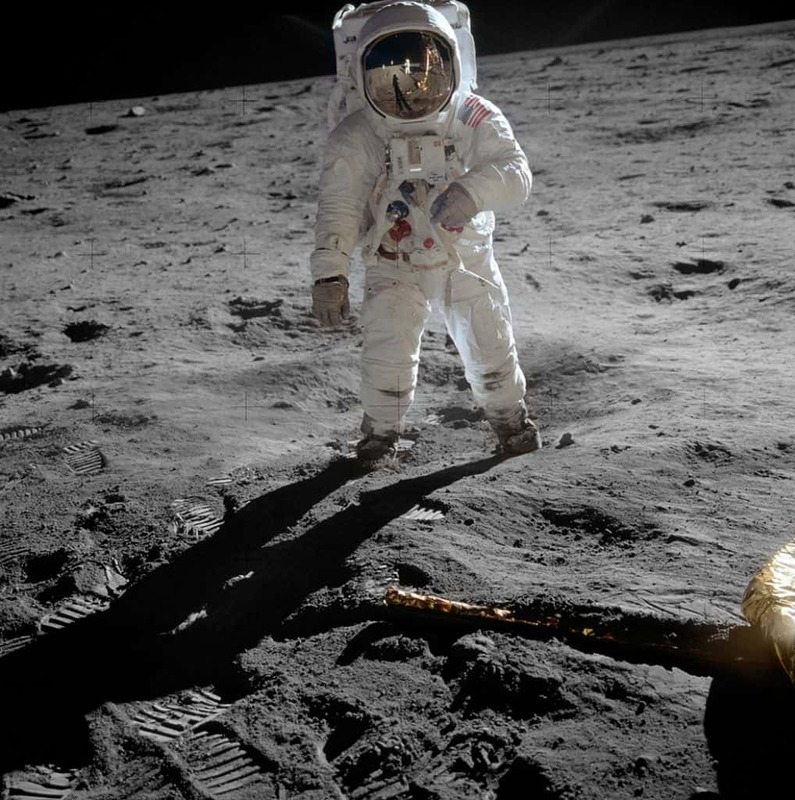 I was the first to admit that I am not terribly familiar with Islamic culture, so I was interested to learn the influence the moon has had on the spiritual, artistic and religious elements of Islamic daily life. 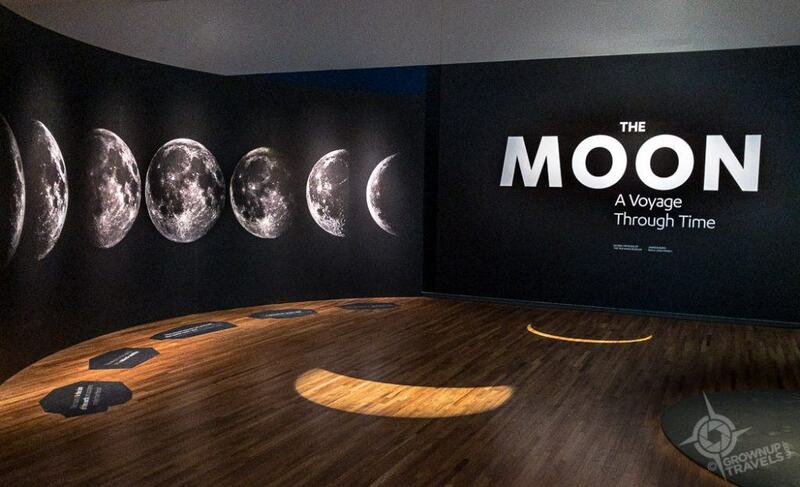 To help visitors navigate the exhibition, the objects within are organized into 5 sections, reflecting how the Moon is related to wonder, knowledge, beauty, the eternal, and the physical world. For starters, Muslims live by a lunar calendar, which determines their feast days and religious seasons. The moon also figures prominently in the Qur’an as it heralds the day of judgement and is related to the miracles of Mohammed. Metaphorically, it is the prophet’s spiritual enlightenment that ‘illuminates’ the moon. “Qur’an” is the spelling that is closest to the Arabic word for the sacred book, believed to be the word of God that was revealed to the prophet Muhammed. But you will also see it spelled “Koran” and “Quran”. The Islamic world view is a comprehensive one that incorporates science, faith and the arts holistically. So within the ‘Knowledge’ part of the exhibition there are artefacts showing how all three aspects work hand in hand. 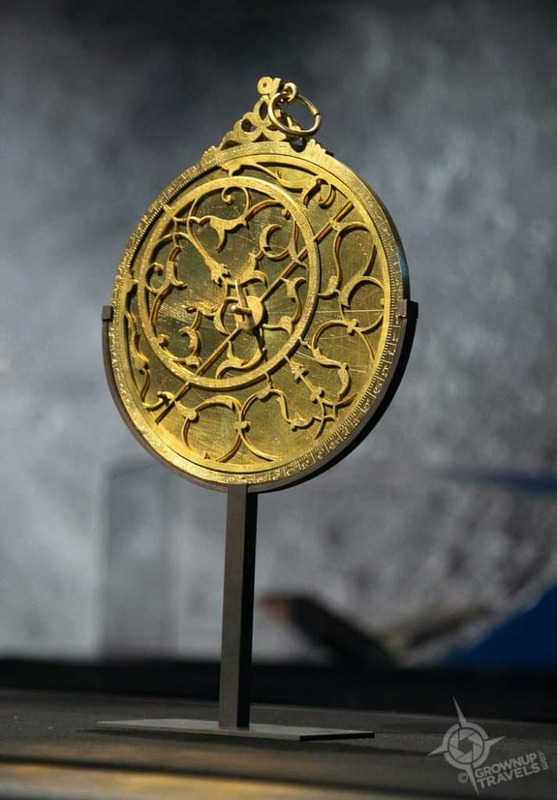 A collection of astrolabes is the perfect example of this trifecta as these pieces were designed for scientifically accurate navigation but also to indicate the direction of Mecca. Plus they were beautifully designed works of art in themselves. The moon is also seen as a symbol of physical beauty in art and literature. It is portrayed as feminine, gentle and mysterious, in contrast to the more aggressive ‘male’ sun. 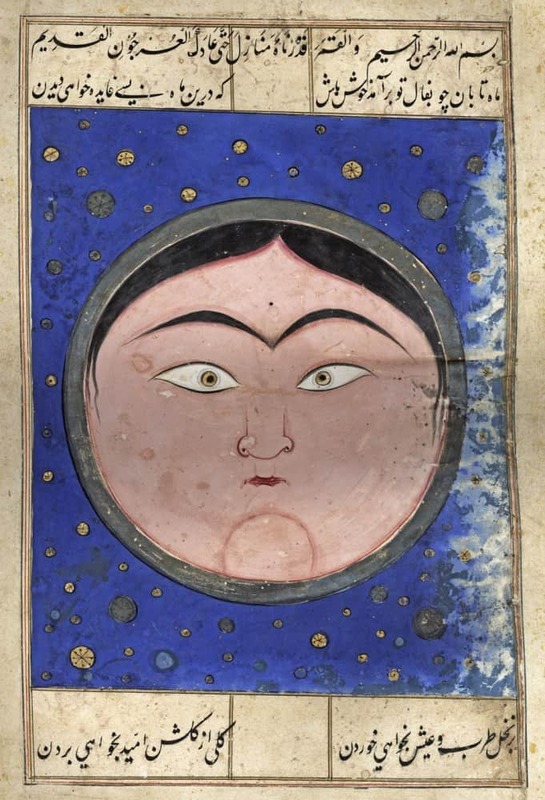 In the Book of Omens, (a kind of guidebook for telling the future), the moon appears as a beautiful round-faced Lady who is seen as a good omen. 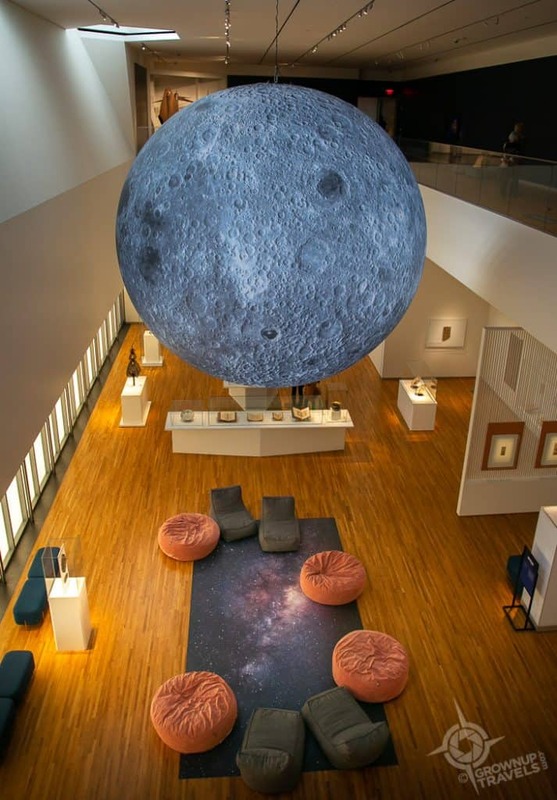 The last of the Moon galleries showcases a dramatic representation of the exhibition’s namesake: a five-metre-diameter moon that hangs suspended between two floors of galleries in the museum, completely dominating the two-story space. 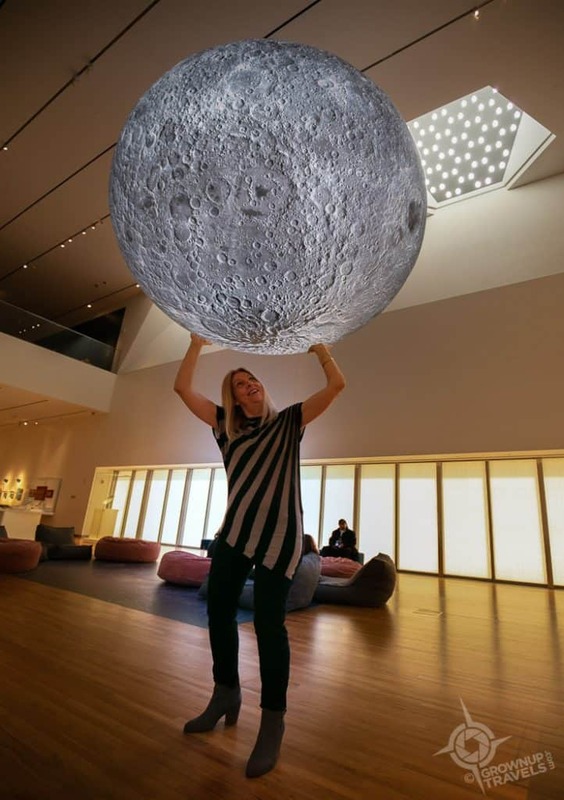 Created specially for the Aga Khan Museum’s exhibition by British artist Luke Jerram, the giant inflatable moon is covered with detailed topographical photos collected by NASA, assembled to scale on this giant sphere. Playing with perspective: Jane holding up a 5-metre moon! 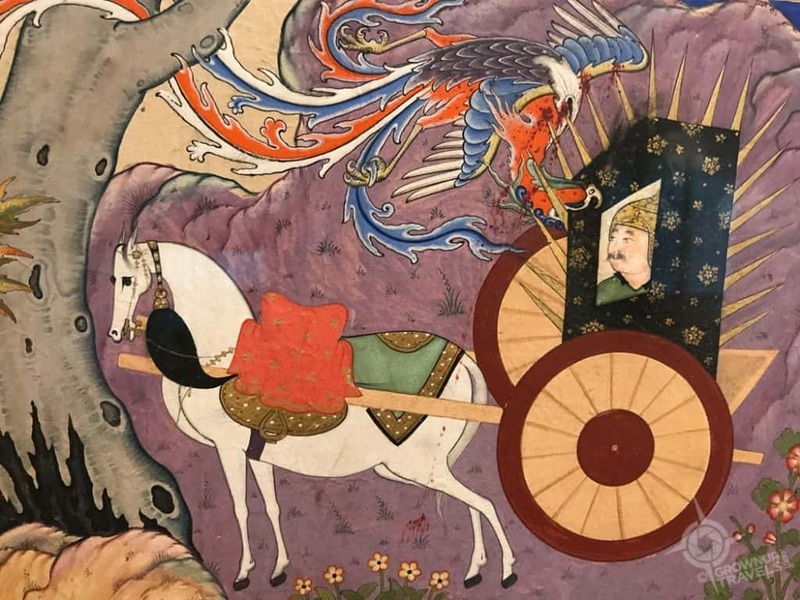 The current exhibition may boast an Instagram-worthy moon installation, but the Aga Khan Museum’s permanent collection has its own remarkable rarities you’ll definitely want to see as well. One of the most famous Persian literary works is the Shahnameh (Book of Kings), an epic poem completed in 1010 by Firdawsi and the longest poem ever written by a single author. 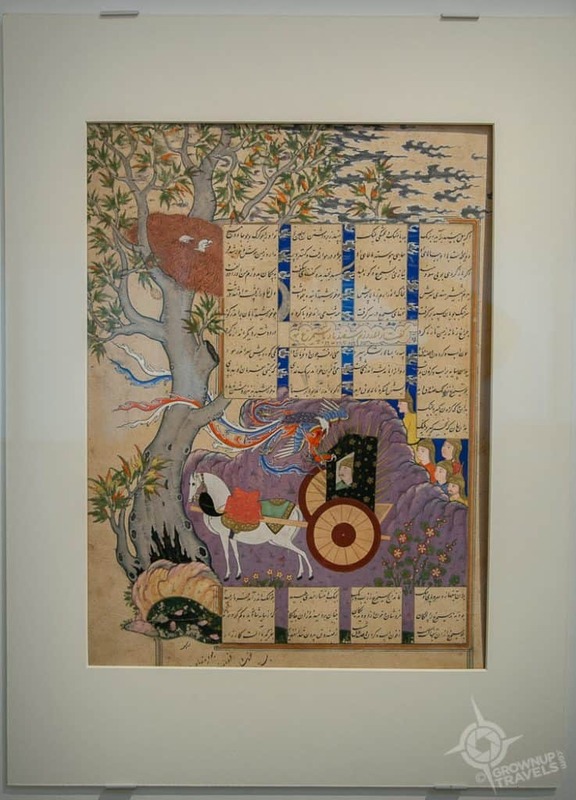 The Aga Khan Museum has a complete manuscript of the illustrated poem made in the 15th century, as well as individual folios from various artists, all beautifully decorated with watercolour, ink and gold. 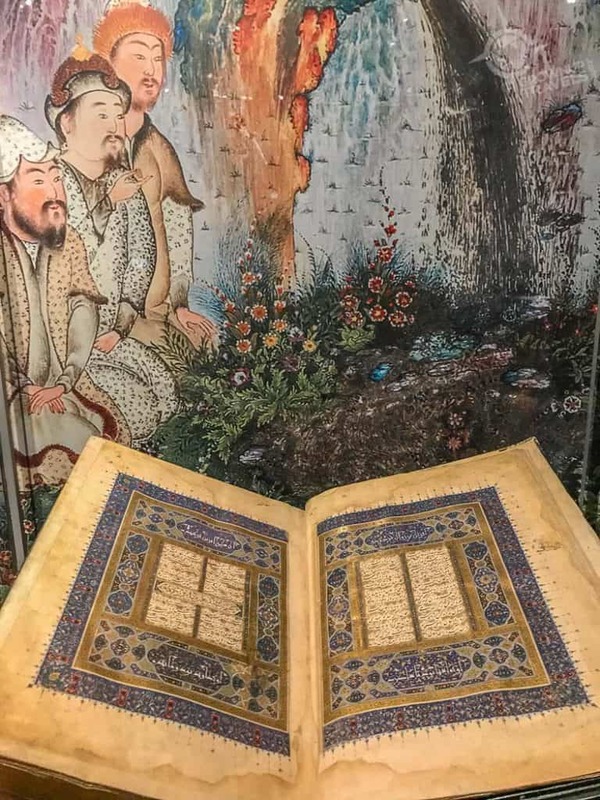 Most impressive of all of the examples of Book of Kings artwork is an illustrated folio from 1524-1525, attributed to Sultan Muhammed, who worked as a painter in the royal library of Shah Tahmasp. 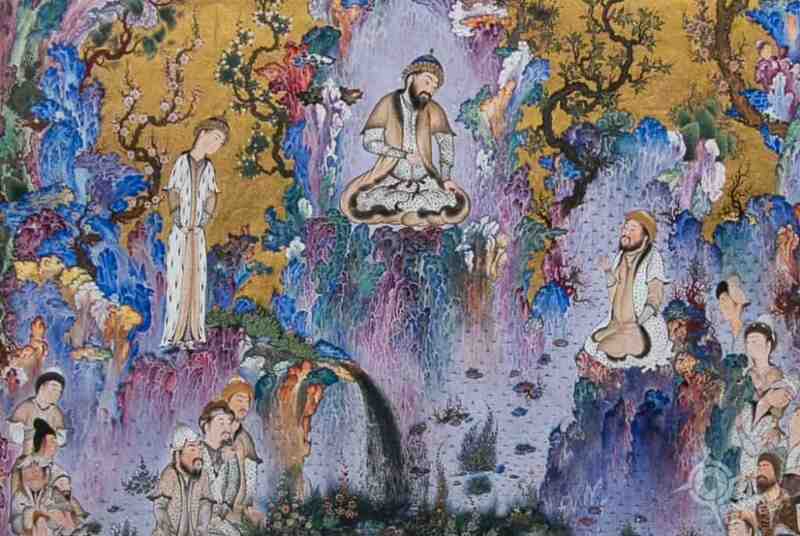 Muhammed created the illuminated page depicting The Court of Kayumars (a king who embodies the ideals of Persian kingship and is shown ruling over a perfect utopia). Even though this page is almost 500 years old, the extraordinary details and colours have survived and are still stunningly vibrant. 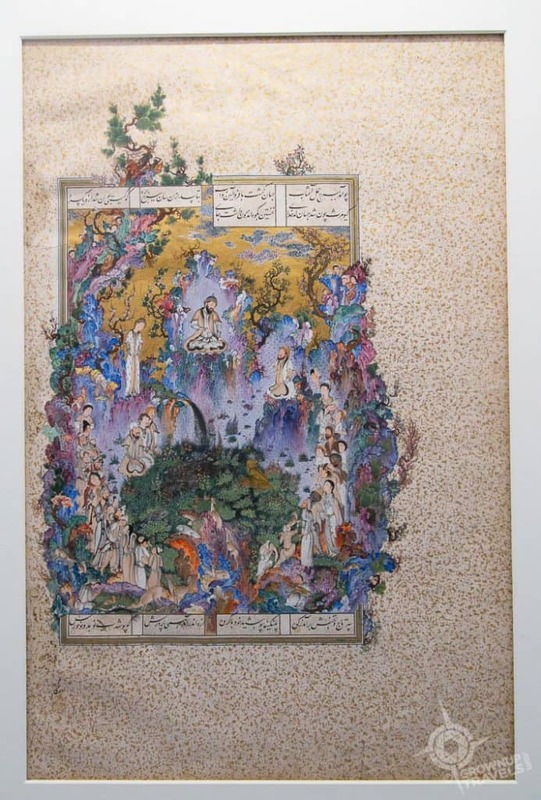 Its craftsmanship and subject matter make it one of the most famous illustrations from the epic poem, and it is considered one of the most magnificent masterpieces of Islamic art in the world. 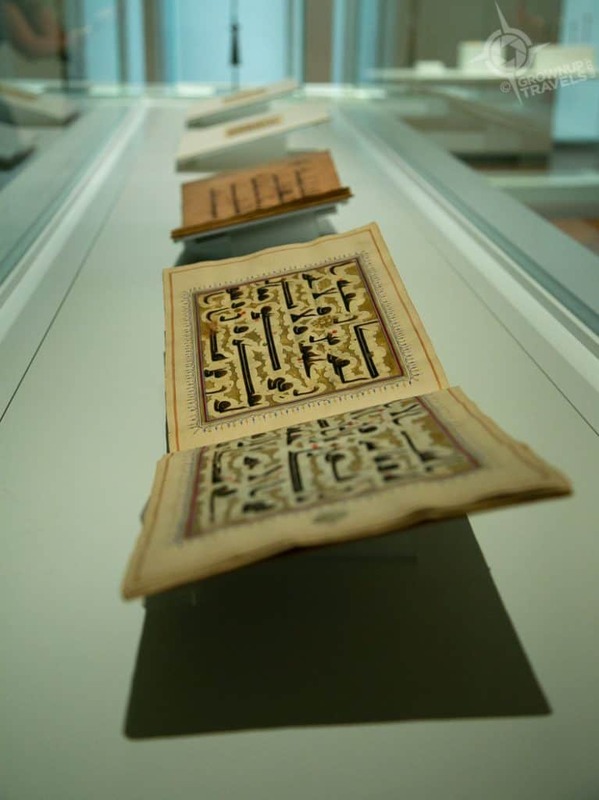 The Aga Khan Museum also possesses rare examples of the Qur’an, each one demonstrating different styles of calligraphy, one of the highest forms of art in Islamic culture since it is used to communicate the word of God. 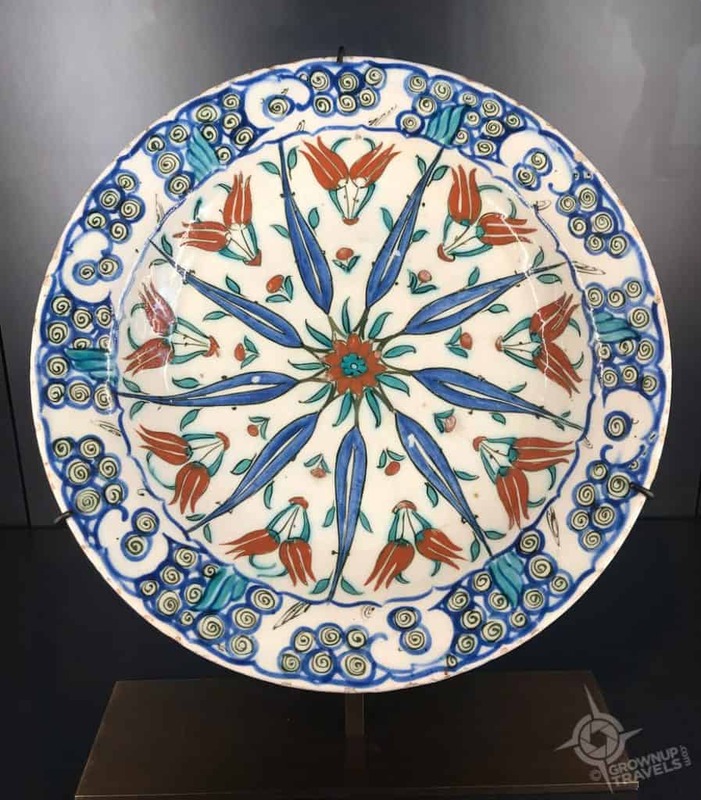 I’m a huge fan of decorative ceramics and the museum has all kinds of intricately designed colourful examples, from plates and vessels to tiles and wall decor. Some of the most beautiful of these are in the Bellerive Room, where visitors can admire these pieces for free without having to purchase admission to the museum. 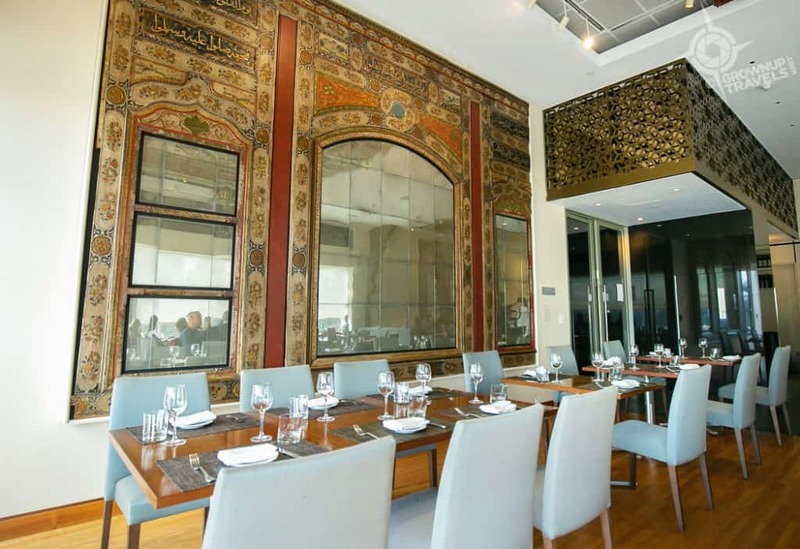 If you want to make your visit truly complete, plan to have lunch or dinner at the Aga Khan Museum restaurant, Diwan. 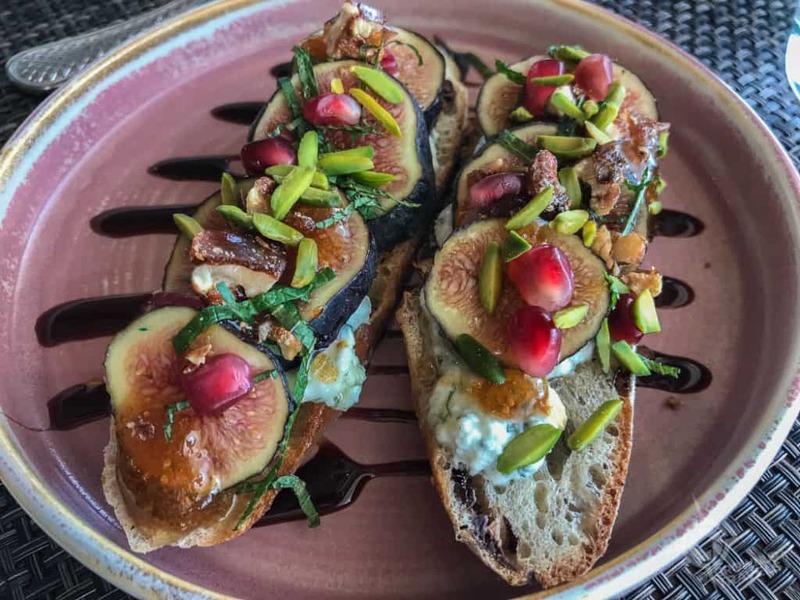 Executive Chef Mark McEwan, one of Canada’s top chefs, has created an imaginative menu with dishes inspired by Middle Eastern, North African and South Asian cuisines. And as far as ambiance goes, the Aga Khan Museum restaurant’s decor is as modern and aesthetically beautiful as the dishes. It may have taken a moon ‘landing’ at the Aga Khan Museum to inspire our first visit to this beautiful museum, but Henk and I were equally impressed with the permanent collection housed in this beautiful building. 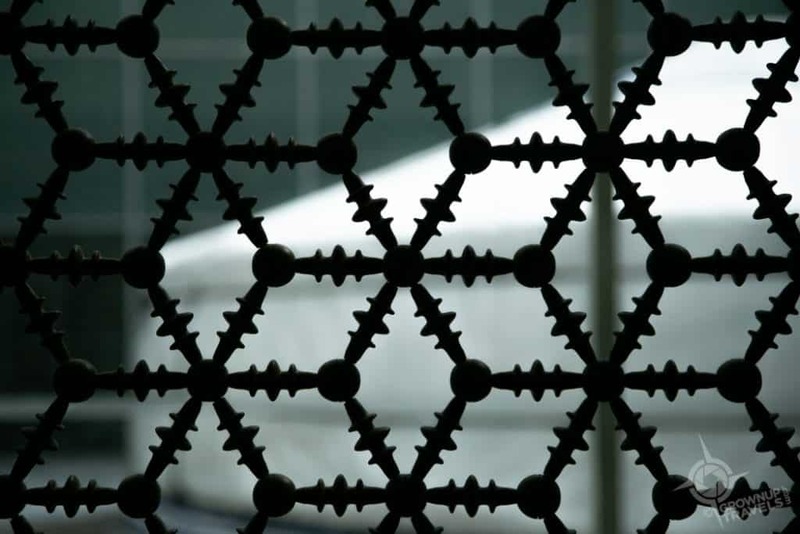 But perhaps even more important than the artefacts it contains is the way the Aga Khan Museum helps to bridge the gap between Western and Islamic cultures through education and appreciation – something we can all benefit from, especially today. 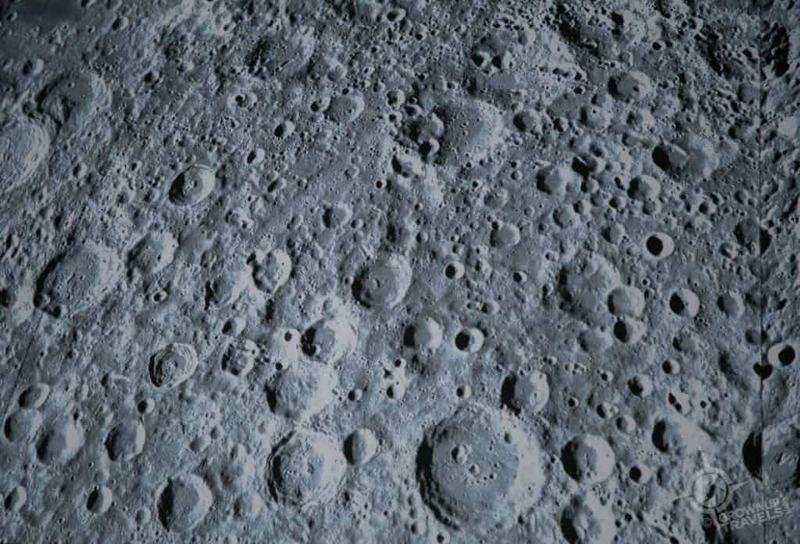 TIP: The Moon: A Voyage Through Time runs until August 18, 2019. Adult admission to the museum includes the exhibition and costs $20, but from 4 – 8pm on Wednesdays, admission is FREE. 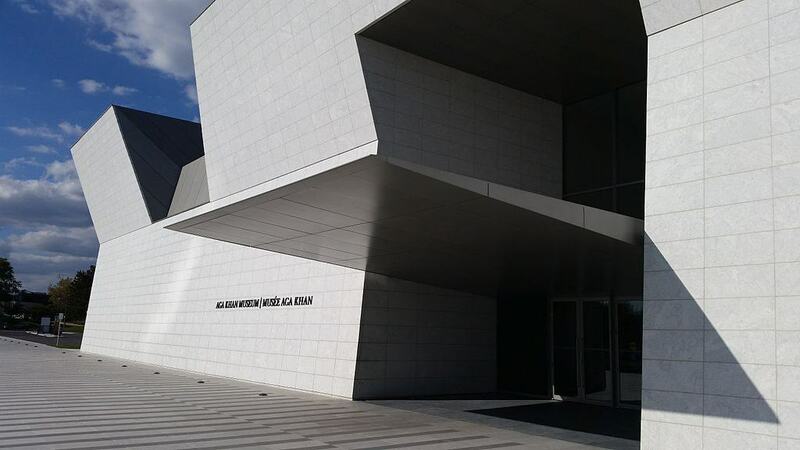 More details on programming and events are available on the Aga Khan Museum website. Special thanks to the Aga Khan Museum for hosting our visit and to Dr. Ulrike Al-Khamis, Director of Collections and Public Programming, who acted as our guide. 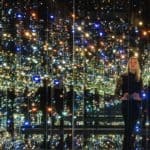 I’ve never been to Toronto and the Aga Khan Museum looks like a must-see! It’s not surprising, though, that it’s an excellent museum. I’ve seen what the Aga Khan Development Network has done with their school in Mombasa: created something unique and special. In this case, the effort to educate the west about Islam is really important. I hope they open another one in the US, preferably Washington, DC! You’re right, Rachel, the AKDN seems to be very conscious of doing what is needed at the right place and time. There’s no better time than now for the west to see the beautiful aspects of Islam with museums like this one. 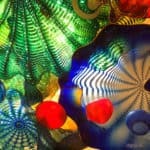 I was over the moon to read about your experience at the Aga Khan museum. As someone who grew up wearing Bata shoes to school and have fond memories of the shoes and the commercials, I would have absolutely loved it. Oh, I definitely need to show my husband the crostini. We are always looking for different toppings from the usual ones we have. 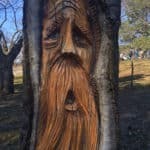 Thanks for sharing a beautiful part of Toronto. HaHa! Love that you’re ‘over the moon’! So funny, too, that the Bata connection is another thing so many of us share with the site of the Aga Khan museum. 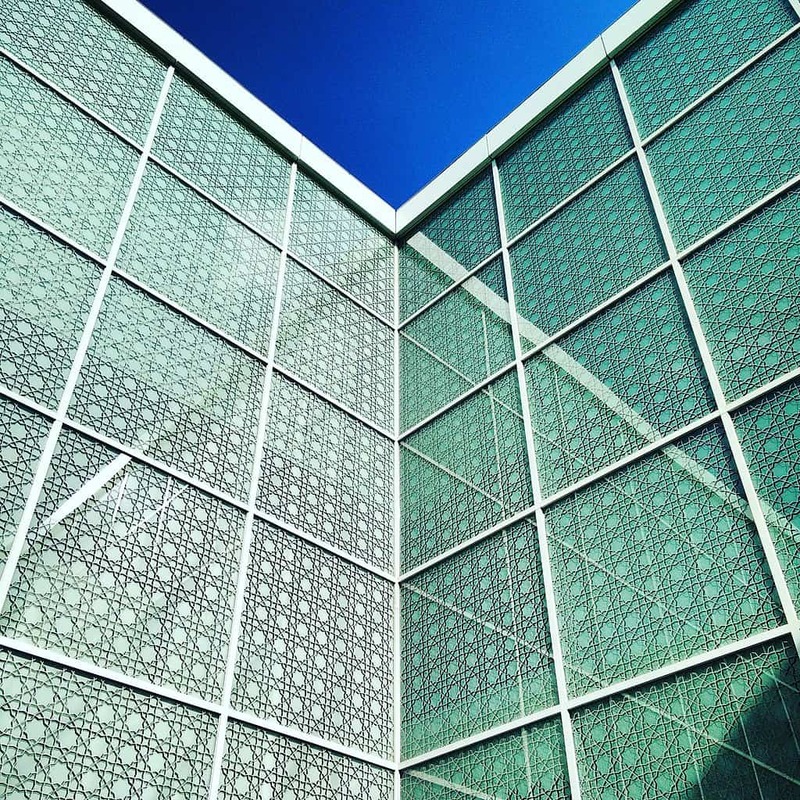 I’m always fascinated by Islamic art and architecture, and I love the food too – so if I ever get to Toronto I’ll have a look at the Aga Khan Museum. 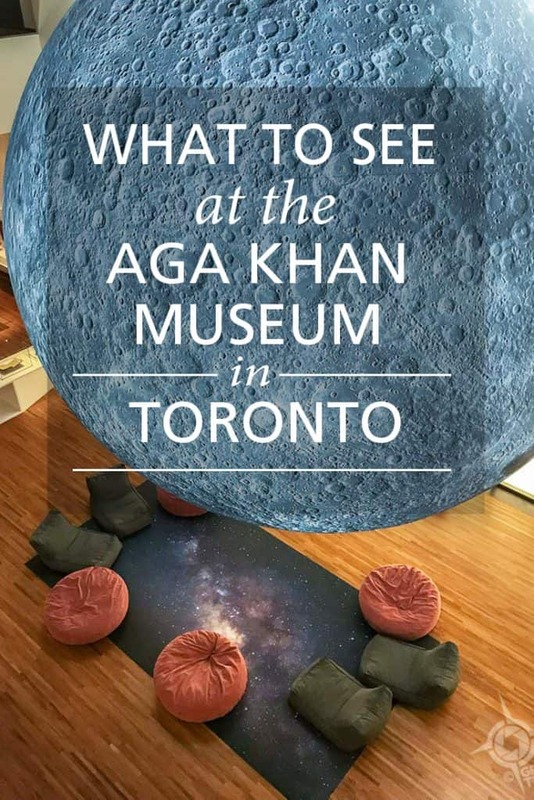 What a fun experience you had at the Aga Khan Museum. We have never visited Toronto and are planning our first Canada trip this summer. We will certainly need to investigate further, since you showed us the possibilities of an amazing adventure. Wow, your first visit to Canada! I hope you’ve allowed yourselves some time, and if you do get to Toronto, there’s a lot here to see and do. Give yourself several days for sure. And wear good ‘eating pants’!